At the Charles Lea Center you really can make a difference! We are always looking for caring, passionate and dependable men and women. 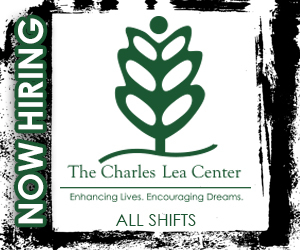 Positions start at $12 an hour and the Charles Lea Center is proud to offer medical, dental, life and vision insurance as well as paid training, retirement plan contributions and paid time off. In addition, the CLC has an onsite health clinic and workout facility which are free to staff. Applications are taken from 8:30 a.m. - 4:30 p.m., on Monday though Friday at the Charles Lea Center, which is located at 195 Burdette Street, Spartanburg, SC 29307. You can apply online anytime, just click on the image to the right to view a list of all job openings and to apply. And, be sure and watch our video to learn more about why you should join our team!